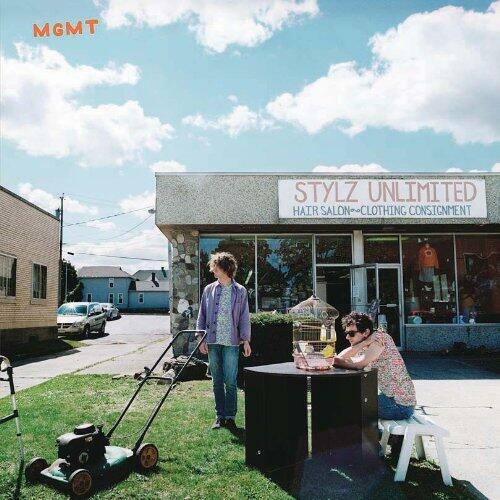 MGMT are a psychedelic band. To many, that may seem like stating the obvious, but it bears repeating, because when “Time To Pretend” and “Kids,” their two purest pop songs, became genuine mainstream hits, the public decided they were a synth-pop group instead. In other words, the image the duo made for themselves was corrupted, and the anomalies in their catalogue came to define them. So upon release, their superb second album, Congratulations, was met with some derision from fans and critics appalled to learn that the duo were going in a different direction. It’s fitting, then, that MGMT waited until now to release a self-titled album, because this is where Andrew VanWyngarden and Ben Goldwasser reclaim their identity as experimentalist weirdos, the kind who aren’t interested in penning Billboard singles. Indeed, MGMT is awash in studio-as-instrument trickery and trippy sound effects, evoking everything from the Flaming Lips at their bleakest to the tribal-psych of Prince Rama to Pink Floyd’s most whimsical sound-collages. Congratulations‘ reception eventually warmed once its detractors realized that there was plenty of hooks, melody and wit underneath the ornate arrangements and complex song constructions. I can’t see MGMT sharing the same fate: Even if it’s not abrasive, it’s willfully alienating, testing the tolerance of any fans holding out for easy pop catharsis. Of course, this would be easier to accept if the album was better than it is, and frankly, it’s a mixed bag. Taken as a bag of sonics, it works in spurts, particularly in the first half, when the songs are more grounded: “Alien Days” is an even more fragmented take on Congratulations‘ labyrinthine art pop; “Introspection” manages to sound both propulsive and drowsy, like sleepwalking motorik; the terse, tart “Your Life Is A Lie” is a darkly funny minor classic. Close listening reveals dense webs of percussion and electronics, ones that take repeated listens to fully appreciate, and it’s hard not to marvel at how smoothly all these elements coalesce. Ironically, that means for an eponymous album meant to reestablish the group, this record really belongs to producer Dave Fridmann. His unseen hand guides the duo’s every whim, reigning in the potential chaos and helping the record sound impressive, even when it’s less than compelling, which regrettably becomes an accurate descriptor as the album rolls along. The latter half is dominated by elliptical, shape-shifting cuts that are meant to be the real meat of the record, as they completely eschew any sort of conventional structure in favor of mood and feel. It’s a smart impulse, but they stumble on the execution, as all these songs lack any sort of momentum or backbone. They sound stuck in first gear, always on the verge of transcendence without getting there, never reaching a level that you can’t shrug off. Aside from the static songwriting, one of the most striking issues about these songs is VanWyngarden’s vocals. Usually one of the group’s best qualities, carrying the melody and his rather underrated lyrics, his voice is sidelined as another instrument in the mix. Again, this seems fine in and of itself, but his mutters and murmurs sometimes clash with their otherworldly surroundings, so, weirdly, much of the second half of the album conceivably would work better if it were instrumental. But that’s just splitting hairs, because these tracks really just aren’t very absorbing or transportive. And not even the rosy-cheeked “Plenty Of Girls In The Sea,” ostensibly inserted as some sort of reprieve from the spaciness surrounding it, helps things along, wearing out its welcome with half of it left to go. MGMT reveals a band in transition, certain of the path they’ve chosen, but unsure just how to walk down it. Enough of this retains the intelligence and ideas of their best work, though, so hopefully they can come back with something more thought-through next time. Maturity has a way of softening the edge of even the fiercest musicians, and the way they deal with that fact is what separates artists with long, fruitful careers from ones that shine bright and collapse. Fortunately, Trent Reznor falls firmly in the former category. 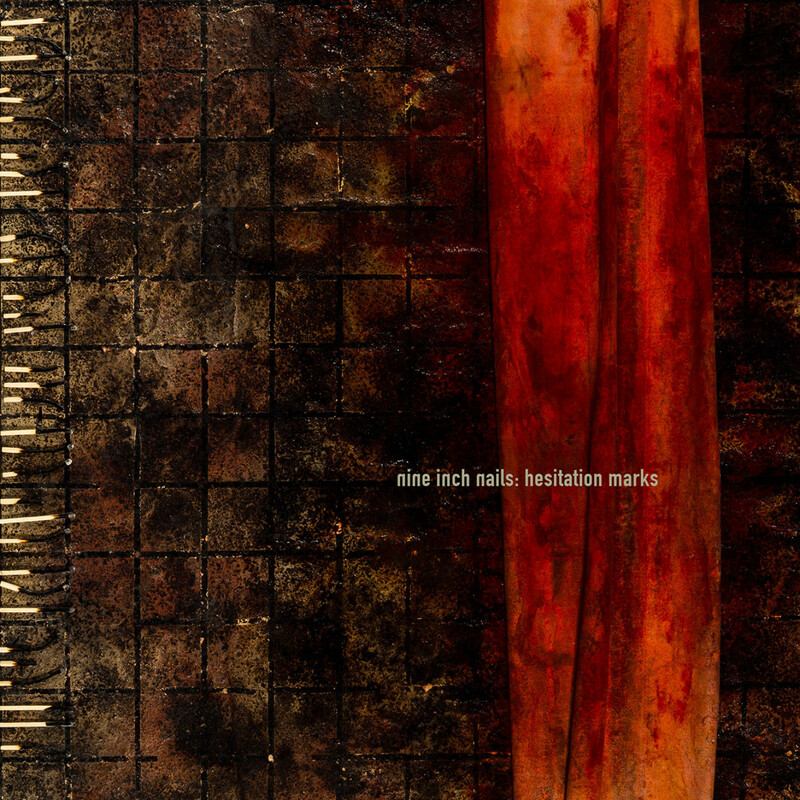 Hesitation Marks, his eighth album with Nine Inch Nails and his first since 2008’s The Slip, proves he still has something to say and is finding new ways to say it. As an unrepentant workaholic, he never sat around long—even the long gaps between his ’90s albums were mostly due to his perfectionism, making sure he got all the details right—and the only thing that’s changed about his recording habits as he’s gotten older is his prolificacy. Nine Inch Nails isn’t his only gig anymore: Sure, he nabbed an Academy Award (along with producer Atticus Ross) for his film score work, but he’s become a husband and father as well (which spawned yet another side project, How To Destroy Angels, this time with his wife). All this is a long way of saying that Reznor isn’t the same man he used to be, so it stands that Nine Inch Nails follows suit. Hesitation Marks has the same general NIN sound, of course—Reznor isn’t looking to do some sort of 180 this late in his career—but it has a different air about it. He’s skeptical, but no longer so cynical; he’s brooding, but no longer so bleak. If that takes some of the edge off of his music, so be it, since the kind of me-versus-society persona that characterized The Downward Spiral, or, hell, even Year Zero, wouldn’t wear as well on a man facing 50. But what’s important is that Reznor is still an impressive songwriter and producer, and while the songs here don’t rank with his top-tier cuts, this is still a gratifying record, enough to show he, Ross and co-producer Alan Moulder haven’t lost their collective touch. Plus, familiarity isn’t a bad thing: the clever, eerie “Copy Of A” interweaves several layers of sound to find something new within the established formula, while the first single “Came Back Haunted” seems to be NIN-by-the-numbers before it’s buoyed by a strong hook. But when the record surprises, it’s especially welcome. Foremost among those moments is the power pop rush of “Everything,” a bright, hopeful anthem that sounds downright cheerful compared to the rest of Reznor’s catalog (and promises to be one of his most polarizing songs). Yet it’s bits like the springing guitar lines and sparkling keyboards of “All Time Low” and the growling saxophone that closes out “While I’m Still here” that position Hesitation Marks as the work of an artist who isn’t quite ready to settle into a predictable pattern, even if he isn’t trying too hard to rock the boat. Like a good portion of Reznor’s work, Hesitation Marks is a bit overlong and would have benefited from some tightening up towards the end, particularly since the album is front-loaded with much of its best tracks. Still, for someone who’s been around as long as he has, it’s amazing he’s still able to create music that’s, for the most part, this inventive and relevant. Looks like Trent Reznor and Nine Inch Nails are aging just fine. That Julianna Barwick recorded Nepenthe in Iceland with Sigur Rós producer Alex Somers makes it almost too easy to draw comparisons between her music and that famed Icelandic group, especially because both artists create the sort of music that’s invariably described as “ethereal” and “crystalline.” And though Somers certainly gives Nepenthe the grandiose, otherworldly sheen of Sigur Rós’ most epic work, Barwick has put together something altogether different here. 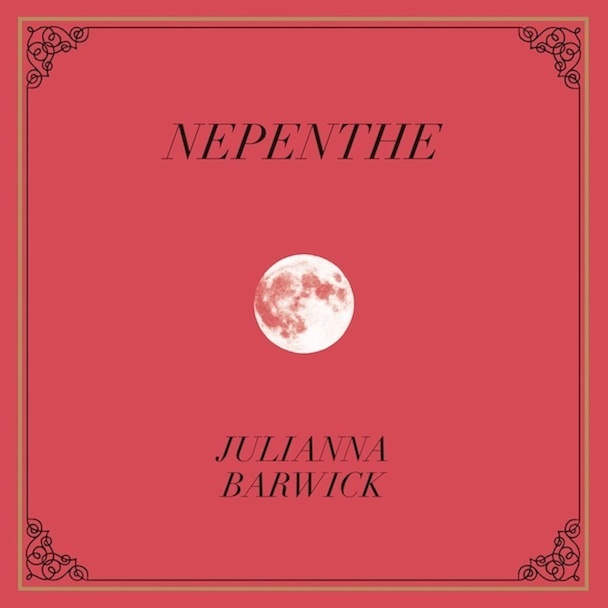 See, whereas that band carries the burden of the post-rock label, what with their atmospherics tempered by guitar symphonics and classical arrangements, Barwick uses the fragility and gorgeousness of her music as an end to itself, leaning on something more akin to New Age. Cooing, distant loops of harmonies hover like a choir of angels, while piano and barely intelligible vocals slide into the mix and dissipate just as quickly. Of course, this is the sort of thing that Barwick showed off on her last album, The Magic Place, too, but the scope is so much larger here, even as the emotional content grows more intimate. Inspired by personal tragedy and the isolation that comes with exiling yourself to Iceland in the winter, Nepenthe works through pain and loss in a surprisingly positive manner, acknowledging loneliness and anxiety without succumbing to anything like bleakness. I could rattle off signifiers for each of the songs here—the ebb and flow of early highlight “The Harbinger,” the string swells on “Pyrrhic,” the almost-pop melody of the icy “One Half”—yet really Nepenthe functions as one long, ever-shifting piece, which is its biggest strength as well as its biggest weakness. Meditative music such as this often requires extended compositions to get its point across, and certainly this album rewards close listening, becoming more soothing the more attention paid to it. Yet, when listening, it’s hard not to wish that Barwick changed up her approach a little more often from song to song. While regularly transportive, her minimalist, breezy soundscape lacks the strong melodic core of, say, Eno’s Ambient 1/Music For Airports, which means that the record can feel a little too transient at times, and, really, an extra element or instrument here and there could do the album good, actually illuminating its themes. Still, though that might be a dealbreaker for some listeners, it mostly feels like nitpicking since Barwick accomplishes her goals so well here. Nepenthe‘s title refers to an ancient, mythical anti-depressant, and just as that implies, this is ambient music as mental recuperation, a relieving dream after a terrible day.